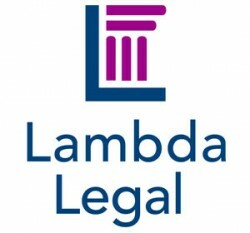 SAN FRANCISCO — Lambda Legal has filed a friend-of-the-court brief with the Ninth Circuit Court of Appeals, urging the court to uphold the California law known as SB 1172 that prohibits mental health providers from performing controversial “gay-to-straight” conversion therapy on LGBT youth. 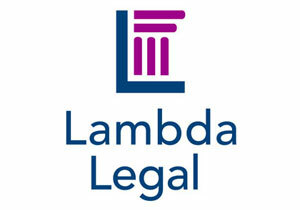 The brief, filed Wednesday, represents 12 regional and national organizations working with LGBT youth, that have “experienced, observed, and cared for LGBTQ youth suffering the harms of sexual orientation change efforts (SOCE),” said Lambda Legal Deputy Legal Director Hayley Gorenberg. “From community centers to therapists’ organizations to crisis hotlines, they have witnessed first-hand the casualties of baseless promises in the guise of ‘therapy’ to change sexual orientation and gender identity. SB 1172 protects children and families from the trauma of this so-called ‘ex-gay therapy’ and the trail of fractured lives and ruptured families left in its wake,” said Gorenberg. Two separate lawsuits were filed challenging the law: Pickup v. Brown and Welch v. Brown, and the judges in these two cases issued conflicting rulings. In Pickup, the U.S. District Court judge refused to delay enforcement of the law, while in Welch, another U.S. District Court judge granted the plaintiffs’ motion seeking a delay in implementation. The plaintiffs appealed the Pickup ruling to the Ninth Circuit of Appeals, as did the defendants — California Gov. Jerry Brown and other state officials — in the Welch case. It is expected the appeals in both cases will be combined. The law, authored by state Sen. Ted Lieu, was co-sponsored by NCLR, Equality California, Gaylesta, Courage Campaign, Lambda Legal, and Mental Health America of Northern California, and supported by dozens of organizations. Gov. Jerry Brown signed the law on Sept. 29. “Every leading medical and mental health organization has warned therapists and parents that these practices do not work and put young people at risk of serious harm, including depression and suicide,” said NCLR Legal Director Shannon Minter. The ban was scheduled to take effect on Jan. 1.